Raise your hand if this has happened to you. 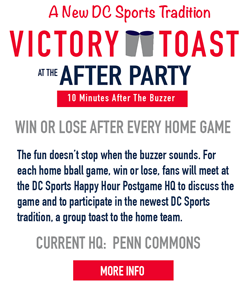 You walk into a bar 2 blocks away from Verizon Center. They have several TVs, and none of them are playing the Wizards game. There are however, playing a nationally televised NBA game, a tennis match, and CNN. You don't get mad because this has happened to you before (at seemingly every bar in the DC Metro area that you've ever walked into). Instead you politely ask a bartender to put the Wizards game on. "Bro we have to change the Wizards game, people want the Caps game on all 4 tvs at the bar"
After giving you an annoyed look, and if another bar patron doesn't complain that they were watching the X-Games, they decide they will put the game on for you (typically on a 2 inch tv stashed away in a corner away from humanity). But not right away! You know why. It always happens. THEY DON'T KNOW WHAT CHANNEL WIZARDS GAMES ARE ON! After having 32 people on staff come out and check the remote, searching through an endless supply of tv stations, they try to tell you that the game is not televised or that there is no game. Eventually you are forced to handle the job on your own, and you take the remote and put the game on. (And hopefully, nobody asks to put C-Span on because they would have to change it). "I know you have 20+ people coming, but we can't put the game audio on our system (we do for every caps game when 4 fans show up) because the regulars depend on the jukebox"
How is this still happening after 2 years in the playoffs? For most Wizards fans like myself there is a constant struggle to get the Wizards on the TV at a bar on any given night. And if that night there happens to be a Caps game, a Lebron ESPN game, or even a Walking Dead episode or the Pro Bowl (smh), the Wizards are not only neglected but bars will flat out refuse to change other channels for the home team. It is very frustrating. "I'm sorry we have to put the audio back on for the Pro Bowl, those people complained that we switched it to the Wizards"
If there is a Caps game on, good luck. 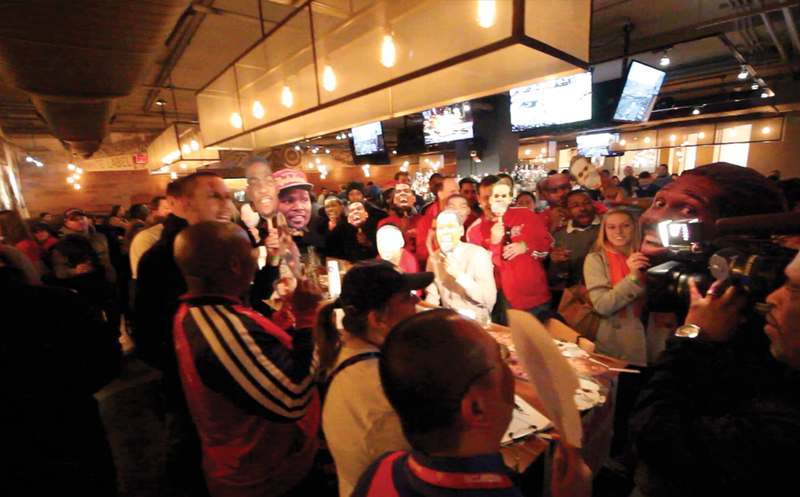 Despite the fact that the Wizards now have higher TV ratings than the Caps (source), bar owners/managers/tenders are stuck in the past and even when we promise to supply 20 Wiz fans they still will reject our request to make their establishment Wizards friendly. (We love the Caps too - we run Caps Happy Hour as well - and never want them to be off. In fact if they can't play both games side by side we won't go there). There is a MISCONCEPTION in this area that Wizards fans don't exist because we don't paint our faces or because we don't find it necessary to dress up to support our team. That is completely false. We are real. And we are a HUGE market that bars should want to cater to. 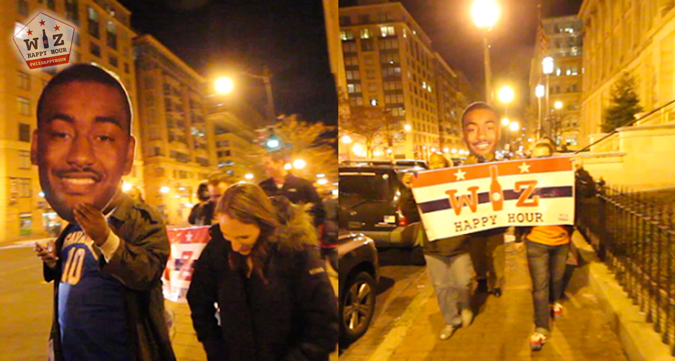 Walking the streets of DC at a Wiz Happy Hour bar crawl chanting "Let's Go Wizards!" Last season we held events where we had 50 people show up and only 10 of them were wearing Wizards gear. DC is the home of wearing your normal outfit to a game. When you go to a bar to watch a game, wear some gear. We aren't asking you to paint your face or even to buy a jersey, just throw on a t-shirt. Educate the bar. If the game is not on when you get there ask them why they don't have the game on. Let them know about the ratings and about how exciting the team is this year. Make them feel like they should be embarrassed to call themselves a sports bar if they don't put local sports on. Talk to the manager. We suggest you go down to your favorite bar with the form below printed out (find the channel # either at the bar or here) and have them post it on the wall. I'm even going to bring the TV schedule to my goto spot (when it is released). Ask them the following question. "Do you have any Wizards events coming up". Chances are they will be like WTF. You can let them know there are hundreds of die hard fans across the DMV who are in a fan group that watches games at Wizards friendly bars. Tell them about Wiz Happy Hour, give them my info, I'll talk to them! And finally. 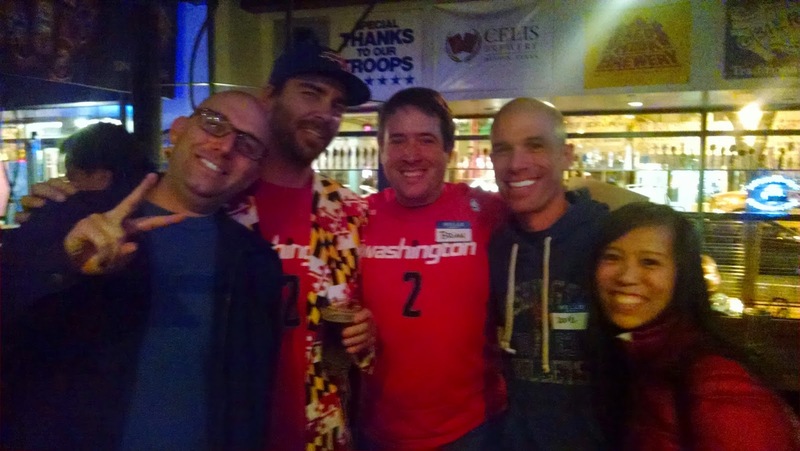 Come to A Wiz Happy Hour Event! We really make the bars know that Wizards fans exist. We do chants, wacky bits, big heads, and more to get the Wiz magic amped up. If you can't make it or if there is no event, go to your own bar. Make a little noise. Get people looking at you (not in a "look at that drunk guy" way). Light clapping on good plays is all it takes. We can get the Wizards trending at bars this season! Lets get it done! Go WIZARDS!!!!!! !